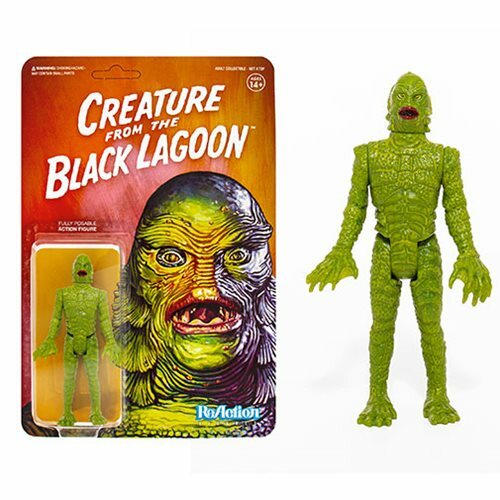 From the Amazon's forbidden depths comes the Universal Monsters Creature from the Black Lagoon 3 3/4-inch ReAction Figure! Taking inspiration from years gone by, Super7 brings the famous monster to "life" as a 3 3/4-inch scale action figure - just like the ones you remember. Packaged on a retro 6-inch x 9-inch cardback, classic figure collectors can't miss this awesome figure! Ages 14 and up.